One Inc offers a single platform for processing premiums and claims payments, designed to integrate with insurance core systems. Engage policyholders through the channels they use most. Securely process payments through those same channels. Simplify reporting and reconciliation. Save money along the way. Align your payment experience with core systems and securely process credit card and ACH payments. 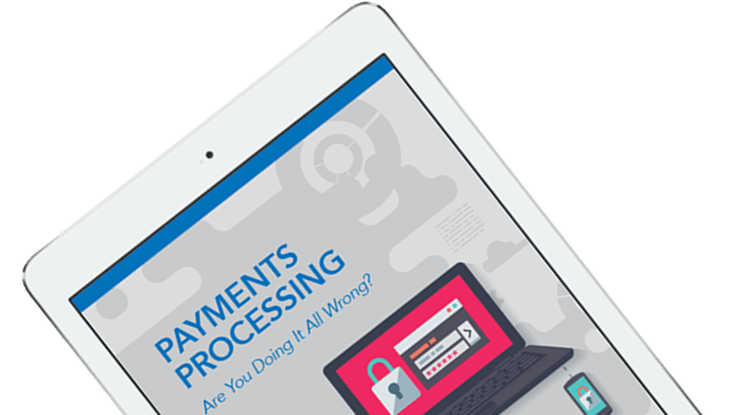 Remove sensitive payment data from your network and simplify your compliance burden. Reach policyholders throughout their journey in the channels they use most. Reconcile accounts, instantly find discrepancies, analyze and report payment activity. 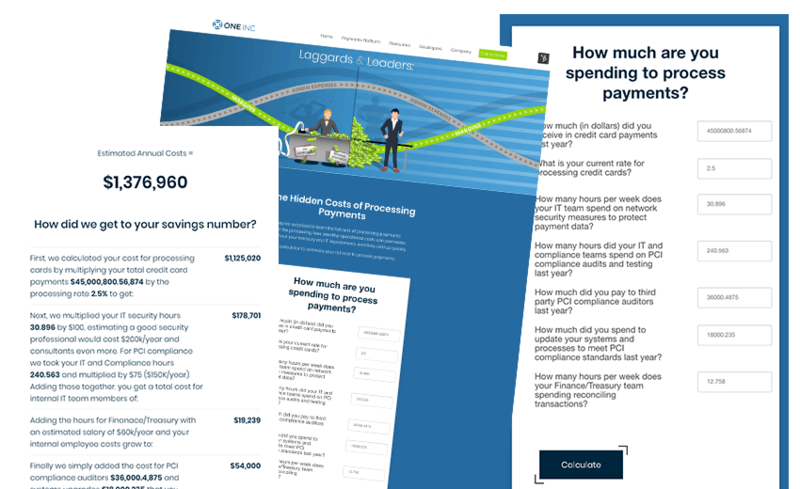 Deliver fast, secure digital claims payments through payees’ preferred channels and methods. AI, blockchain, drones, and other game-changing technologies are transforming the industry. 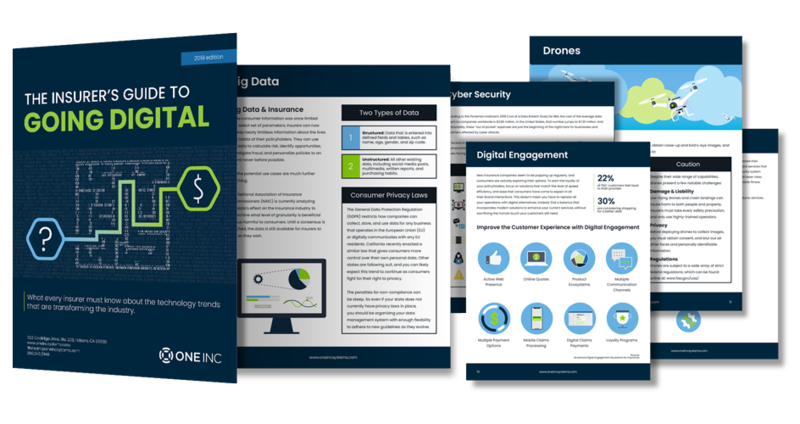 Download the eBook to keep up with the latest digital trends in insurance. Managing payments the right way is the key to customer retention. How do leaders reduce their admin expenses, freeing up vital treasury and IT resources?